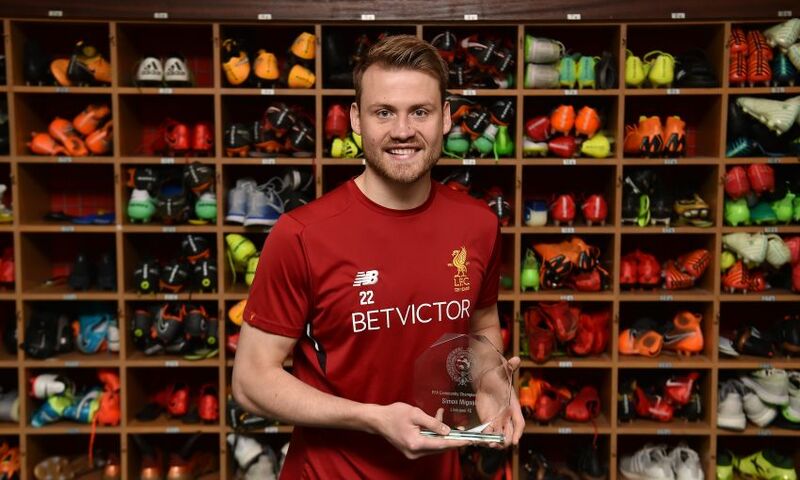 LFC goalkeeper Simon Mignolet has been presented with a community award by the Professional Footballers Association (PFA) in recognition of his ongoing support for the Club’s Official Charity. After nominating Simon for his community involvement this season, the LFC Foundation handed over the Community Champion Award 2017/18 - on behalf of the PFA - during a special presentation at Melwood Training Ground. Mignolet has lent his support to numerous LFC Foundation educational programmes during the 2017/18 campaign, including Premier League Works and the INTO University/LFC Foundation partnership. Andrea Cooper, Head of LFC Foundation, said: “Simon has been a wonderful support to the LFC Foundation throughout this season. “He has been involved with a number of our programmes and has even given up his own free time to come along to events, including the Premier League Works participants’ graduation ceremony. John Hudson, PFA’s Director of Corporate Social Responsibility, added: “The PFA believes that players who make that extra effort and contribution during the season should be recognised for their support and involvement in the local community. “This award will hopefully raise awareness of the importance that many of our members attach to their roles off the pitch and the great contribution they make.